Lately, it seems like every time we go out to eat, I end up feeling disappointed and like I wasted my money. We’ve really been enjoying creating some of our favorite recipes at home instead. Shortly after I was married, my husband suggested that I contact his mom to get recipes for some of his favorite meals, and this recipe for pepper steak was one of the ones I requested. 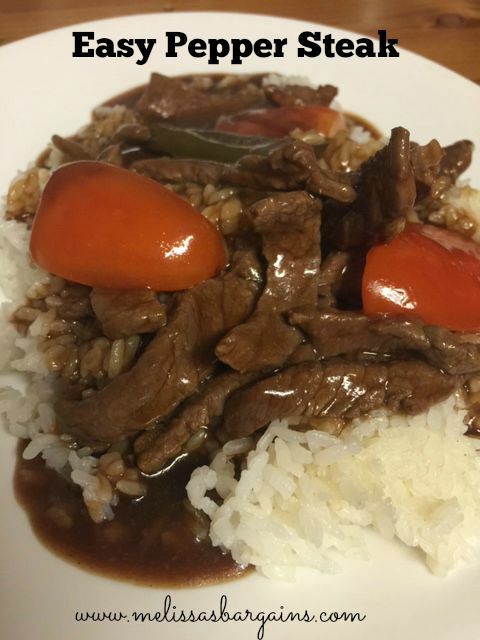 It’s definitely been a hit in our family and if you’re looking for an easy pepper steak recipe this one is definitely it! My 11 year old daughter has even been able to make it a few times now! Pound steak to ¼ inch thick. Cut into ¼ inch wide strips. Sprinkle meat with paprika. Let stand. Add garlic, broth, onions, and green peppers. Blend cornstarch, water and soy sauce. Stir into meat mixture. Cook, stirring until clear and thickened, about 2 minutes. Add tomatoes and stir gently. This recipe is a long time family favorite! 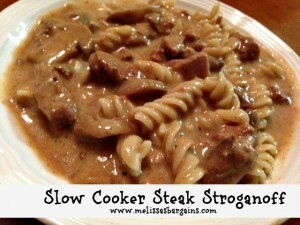 If you’re looking for an awesome slow cooker stroganoff recipe, this is IT! 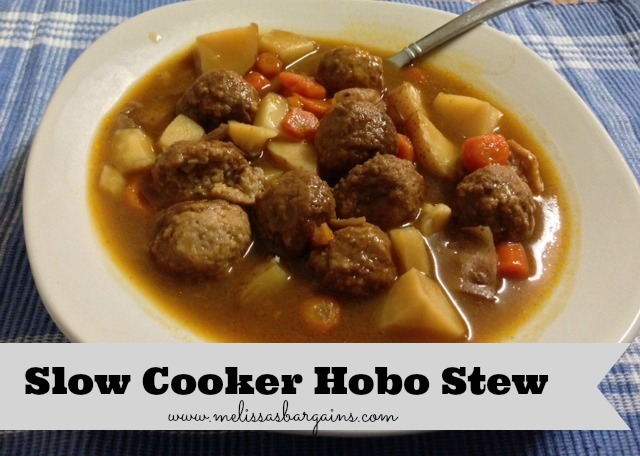 I love it, too, because I can dump everything into the slow cooker and it does all of the “work” for me! Combine flour, garlic powder, pepper, and paprika in slow cooker. Cut meat into 1½ inch strips. Place in flour mixture and toss until meat is well coated. Add soup, water, and stew mix. Stir until well blended. 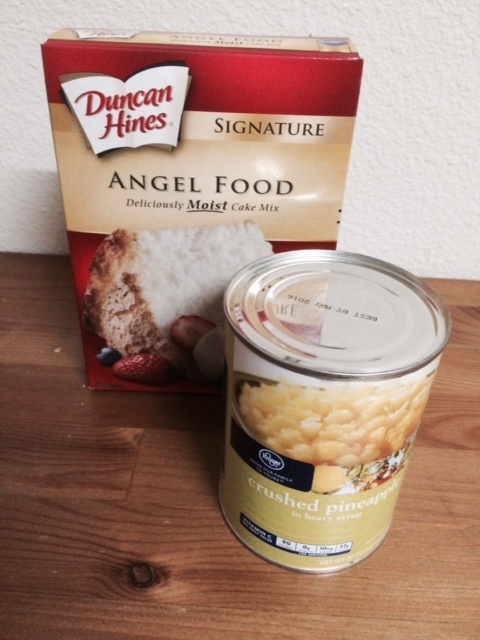 If you’re looking for a tasty, low calorie dessert idea, check out this recipe for Easy Pineapple Angel Food Cake! You only need TWO ingredients! I have seen variations of this recipe multiple times online and I have to admit that in spite of the success of so many others, I was a bit skeptical! I can’t believe how EASY this is to make and it was yummy, too! 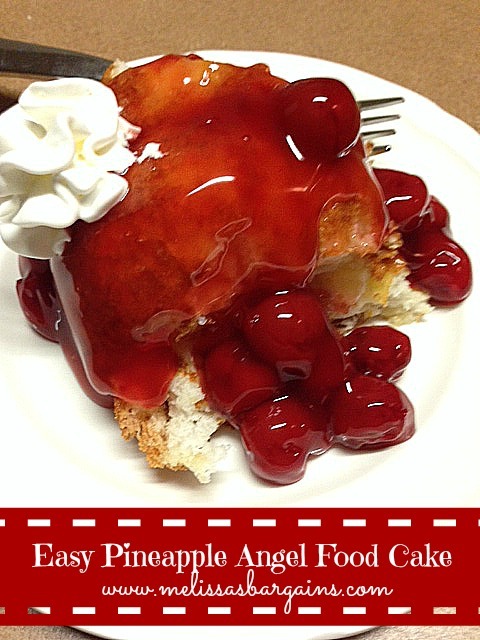 Easy, low calorie Pineapple Angel Food Cake recipe. You only need two ingredients! Add the contents of the Angel Food Cake Mix to a mixing bowl. Add a can of crushed pineapple (do not drain). Stir until both ingredients are well mixed. Spray a baking pan with nonstick spray (I used a bundt pan). The Angel Food Cake Box says that you do not need to grease the pan, but from my experience, if you’re using a bundt pan, it’s much easier to get the cake out if you spray it. Serve with fruit topping and/or Cool Whip (it’s also yummy without). 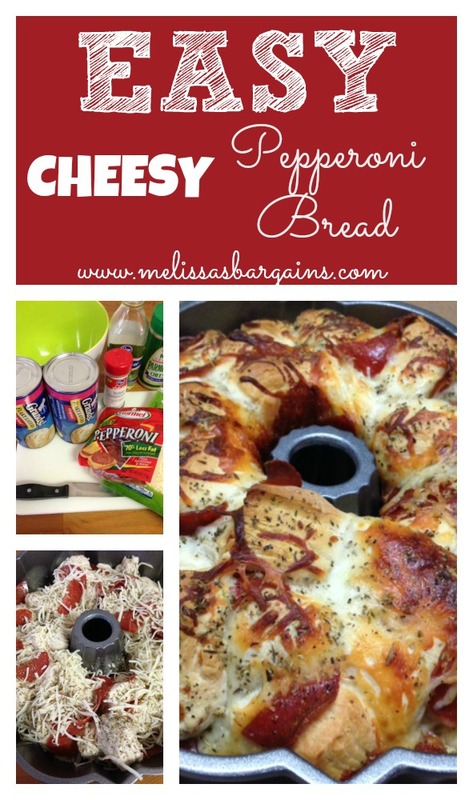 My family LOVES monkey bread and they love pizza, so I figured this would be the best of both worlds! This Easy Cheesy Pepperoni Bread was so easy to make (and the kids can help cook, too!) and everyone LOVED it! We will definitely be making it again! This is a recipe you want to serve basically straight from the oven (give it a few minutes to cool so little fingers don’t get burned). I’m hungry just thinking about it. Easy Cheesy Pepperoni bread – kid friendly! Cut biscuits into quarters and cut pepperoni pieces in half. Mix biscuits, pepperoni slices, and olive oil together. Spray a bundt pan and layer the biscuits/pepperoni mixture with the cheese. Sprinkle Italian seasoning over each layer. Remove from oven and place on a serving dish. Serve with dipping sauces such as pizza/marinara sauce or ranch dressing.